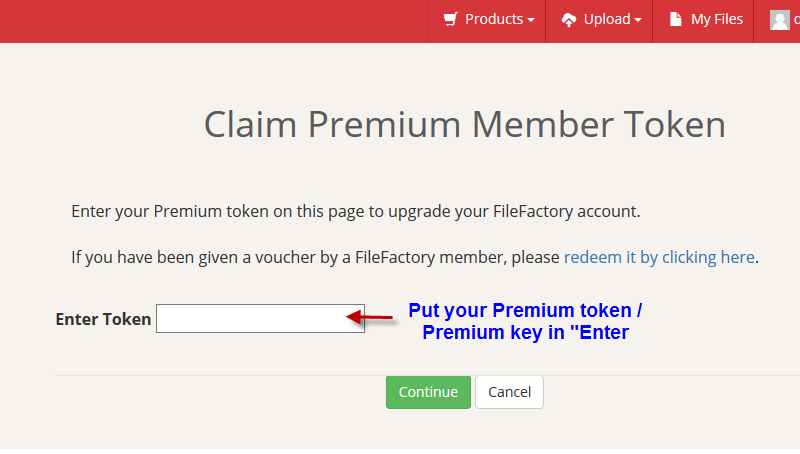 Blog - How to activate FileFactory Premium Key? 4. Put your Premium token / Premium key in "Enter Token" , and click on "Continue"